As you begin to consider graduate study, be sure to thoroughly research the various types of degree programs and university or college settings available to you. 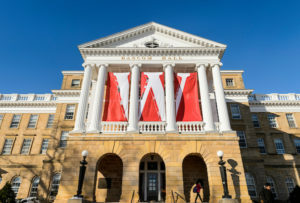 Many graduate programs at UW–Madison are consistently ranked among the top in their fields. However, one size does not fit all; so be sure to select a program and institution that you are confident is the right choice for you. Below are some questions to help you make this important decision. I want to pursue scholarly interests/pursue a professional degree program. I’m interested in how my field fits into the broader world and in making an impact. I want to develop intellectual relationships. I want to pursue a career credential/career plan. I want advancement in my job. I want to attain my personal goals. What is the best department in my field of interest that I can get into? What is the career potential of my field? How long does it take to get through graduate school? What do I want the degree to do for me? Am I willing to invest the commitment to time, effort, and over-all cost required? Am I willing to persist, do hard work, and dedicate myself to my graduate study? PhD, or Doctor of Philosophy: Some programs admit directly. Others require students earn the master’s degree first, on their way to earning the PhD. 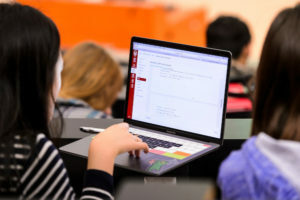 Master’s degree: Some programs require a thesis, some do not, and some give students the option to choose which track they’d like to pursue. Professional degrees: Doctor of Medicine (MD), Juris Doctor (JD), Doctor of Nursing Practice (DNP), Doctor of Audiology (AudD), etc. Professional/Terminal Masters: Master of Fine Arts (MFA), Master of Business Administration (MBA), Master of Public Health (MPH), etc. Find 8-10 schools that fit your research interests and goals. University websites are often the best places to start your research. Ask your undergraduate faculty where they studied or where they would recommend you look. When you attend conferences and/or participate in professional organizations, inquire about which universities your colleagues attended. Research the faculty research or scholarly interests at schools you are considering. Talk to current graduate students at your selected schools. What has their experience been like? Ask about support programs such as scholarly communities, tutoring centers, writing center, library workshops, professional development opportunities, career services, technology training, etc. Ask about funding. 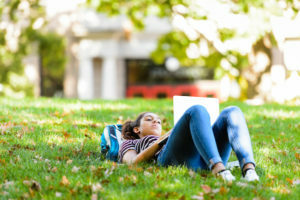 Graduate school differs from undergraduate study, because as a graduate student you may be able to find funding sources to support you, such as fellowships or assistantships, without having to take out student loans. What degrees are granted in my interest area? What is the size of the program at the various universities I’m considering? What are the degree requirements? Are they clearly articulated to students? How marketable are degrees in this area? Does the program, department, or school/college provide career development services? What types of jobs do alumni of this program hold? Are they successful because of the preparation they received in this program? Are alumni of this program employed primarily in tenure-track faculty positions, or are they successful outside of the academy as non-profit or business leaders, entrepreneurs, etc.? Keep in mind that while you may have one career goal in mind right now, your interests and values may shift while in graduate school. It is important for you to see that there are a wide range of career options to people who hold advanced degrees in your field. What are the teaching/research interests of the faculty? How do students and faculty interact? Does the program offer academic support? What kind of labs, computing resources, technology training, writing centers, tutoring centers, disability resources, and libraries are available? Is there graduate student housing available? What healthcare benefits will I receive? What about childcare availability? Costs? Is the campus in an urban or rural environment? Is it a safe campus? Does the university help create a sense of belonging? What do admissions committees look for in an application? Do I need to take standardized tests? Are there any application fee waivers or grants? Who should I talk to in the department/program? What are my chances of being admitted? What are my chances of being admitted with funding? What will the admissions committee look for in my statement of purpose and letters of recommendation? Are there assistantships available, such as teaching, research, or project assistantships? What kind of funding package might be offered to me? Is there the possibility of grant add-ons (mostly in the sciences)? Am I eligible for financial aid, and if so, am I comfortable taking out student loans to finance my own graduate study? Are there other types of on-campus employment available to me? What makes graduate study at UW-Madison great? Our programs are ranked among the nation’s best by U.S. News & World Report. We’re ranked in top 5 for federal support for graduate students. 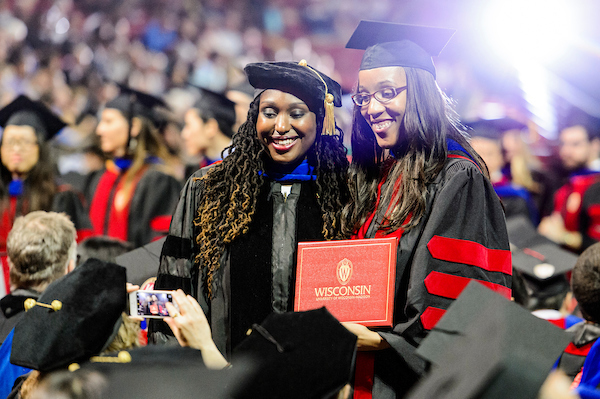 UW–Madison leads in PhDs awarded and excels in graduate career outcomes. We are committed to building a diverse community of scholars. The Graduate School supports you in achieving your career goals from day-one. Visit the graduate program website for information about faculty and their research, courses offered, graduate student profiles, and student support and professional development activities. This will help you get a sense of the culture and priorities of the program, what they may be looking for in a potential student, and if it is a good fit for you – for example, your research interests, professional development needs and career goals. You can then address these topics in your Statement of Purpose. If you have any questions, contact the graduate program. Be specific about your interest and knowledge particular to this program: Have you read an article by one or more faculty member? Has your advisor specifically directed you to this program? Do you have other ties to this program and/or school? Pick out the pertinent facts about your academic and professional interests that make you a good fit with the program and institution to which you are applying. (A statement of purpose is not a place to list everything you have done.) Mention extra-curricular achievements to illustrate additional dimensions of your personality. Demonstrate curiosity, creativity, enthusiasm for learning, a capacity for teamwork, ability to think independently, and pride in your work. Using brief anecdotes is a good way to make your points. Explain (briefly) any incongruity in your application material, such as a low semester grade. Stay within the page limit specified by the graduate program. If there are no specifications, limit yourself to two pages. Be succinct and clear. Let at least two people read your statement, preferably a faculty member and an academic advisor, and ask them to provide feedback. Revise accordingly; you want to submit a well balanced statement that helps you make a strong case for your candidacy. Proofread, proofread, proofread to ensure there are no grammatical or spelling errors. Do not depend on your word processor to do this for you. Ready to apply to UW–Madison? Click here to get started.